Buying an engagement ring can be intimidating. What do you look for? How much should you pay? Should you buy online or in a store? 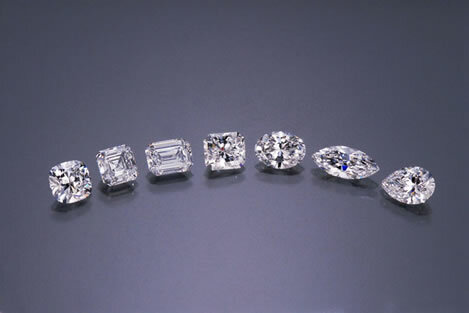 A great start for this process is learning about the 4C’s of diamonds: carat, color, clarity and cut. This system of grading diamonds was developed 60 years ago by the Gemological Institute of America and still stands strong today. Then do some research online or visit jewelers. You’ll soon understand your options. Here’s a primer on the 4 C’s of Diamonds and other advice. There are various ways in which the center stone can be placed on a ring. Some even allow the stone to seem larger than what it actually is. 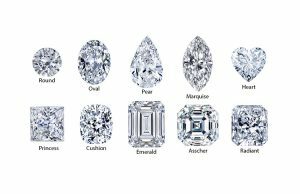 There are a variety of settings available in the jewelry industry, below are some of the most common settings for engagement rings. Like buying clothes online, see and trying on a style are a completely different experience; you may love a certain style, but just like ordering an outfit online that you loved on the model, you may absolutely not like it on you. Engagement rings are the same way and sometimes it’s just best to try on a few different styles and shapes to see what suits you! What makes this metal so desirable is its durability. In jewelry it is used almost in its pure form. Unlike other metals, platinum is resistant to most damage. Although it can still be scratched like other metals, it is not damaged the same way as the rest. Its hardness and strength do not allow the metal to chip and will allow it to maintain its color and brilliance the same. 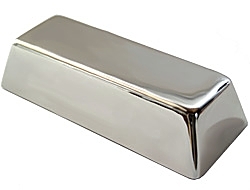 This metal has become more popular because it has a similar look to platinum, yet it is more affordable. 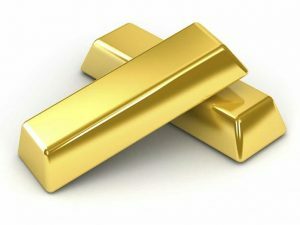 White gold has the same components as yellow gold, however it is mixed with different metals such as nickel, zinc and palladium, which give it the whitish color. 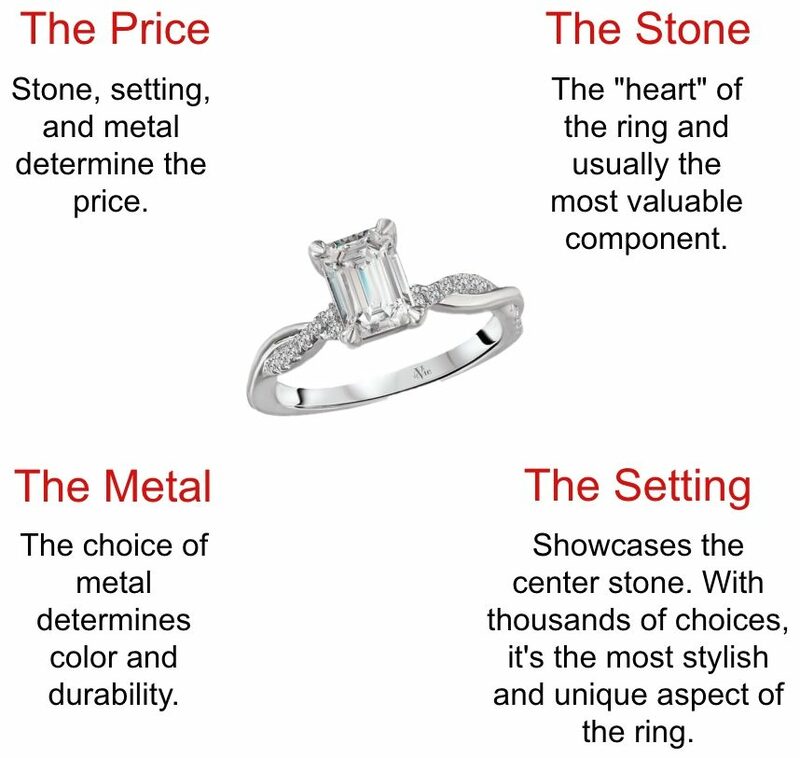 Although true love does not come with a price tag, price can definitely be a factor when making that special purchase. You want to make sure you get the best that you are able to get for such a significant moment in your life. In the 1990s, concerns arose that some African diamond mines supported rebel movements undermining legitimate governments. The U.S. and 79 other countries agreed to a set of rules called the Kimberley Process to ensure that diamonds sold within their borders are “conflict-free,” meaning they do not come from mines supporting rebel activity, according to this definition. Some organizations like the Anti-Slavery Society and the Responsible Jewellery Council are working to raise awareness of issues not addressed by the Kimberley Process, such as harmful environmental practices or child labor in diamond production. Interested consumers should ask retailers about their involvement with these efforts.